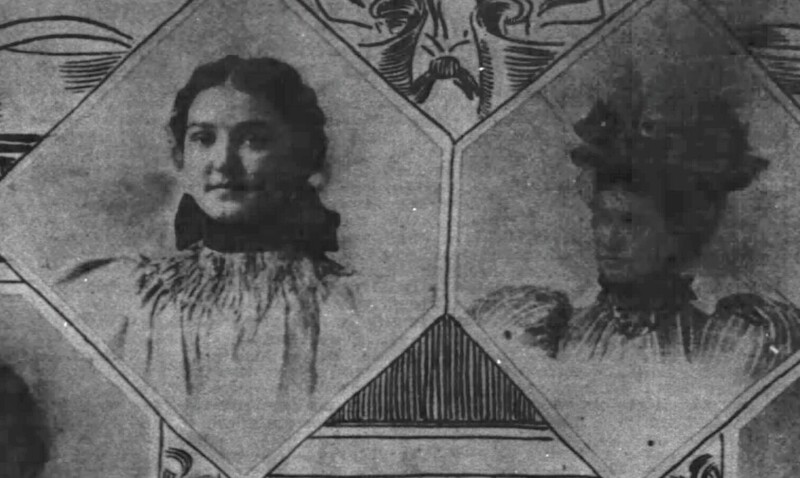 It is one thing to have photos found in antique stores and try to guess the date they were taken, but another to have a newspaper spread of dated photos. 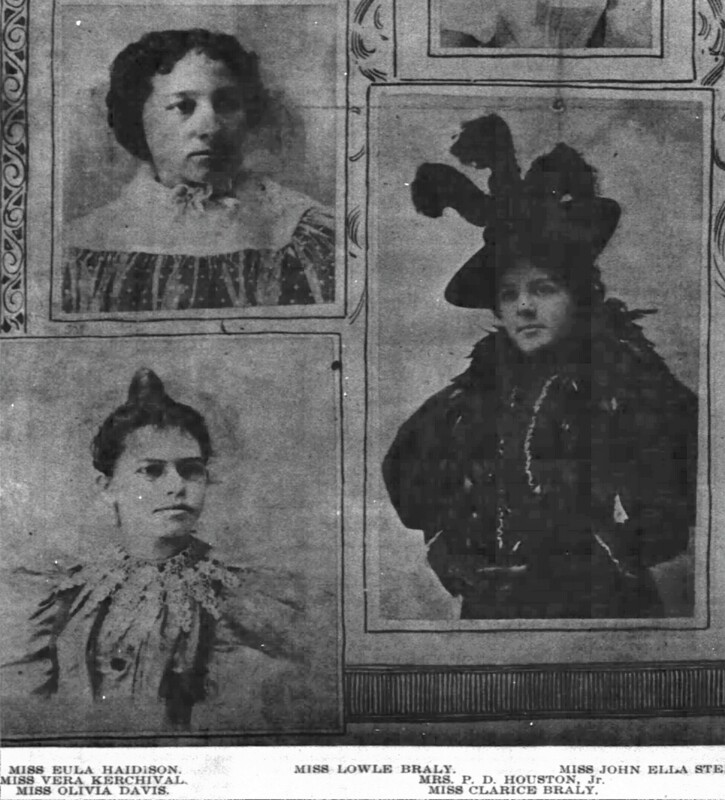 There have been many styles during the years, and some women adhered to them, always wearing the newest fashions. Others were not lucky enough to have ready funds available for new clothes, and wore their dresses until they had to be replaced, fashion notwithstanding. 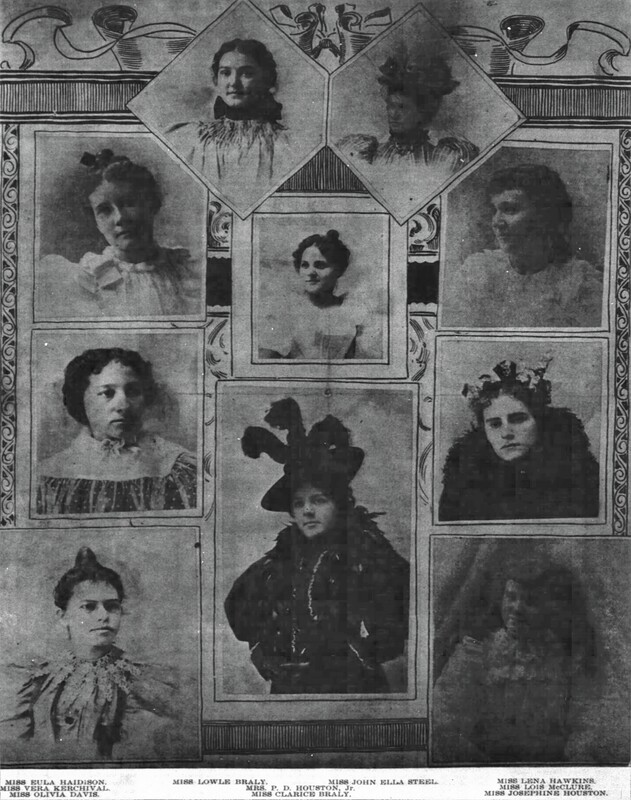 But seeing these photographs from the February 23, 1896, issue of The Courier-Journal of Louisville, Jefferson County, gives us a great example of what was in vogue for women’s fashion at that time. And what a glorious time the late 1890’s were. This was the era of the gigot or leg ‘o mutton sleeve. At the beginning of the decade the bottom of the sleeve fit tight to the elbow, then a small puff to the shoulder. Throughout the next six years the puff sleeve expanded and drooped, then expanded until it took almost a yard of material for one sleeve!.